There were many, many writers who brought outstanding work to their applications who didn’t make the short list. In all, 21 writers received at least one strong yes vote from a member of the staff, and several others just missed that threshold. It was truly an impressive group. Stefanie Freele was born and raised in Wisconsin and currently lives on a river on the west coast. Her recent fiction credits include American Literary Review, South Dakota Review, Permafrost, Westview, Hobart, and Contrary. She will have forthcoming work in Talking River, Etchings, and in a speculative fiction anthology titled Futuristic Motherhood. 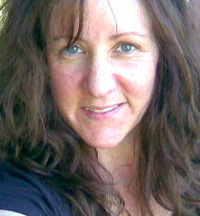 She has completed a novel and is working on her MFA thesis with the Whidbey Writers Workshop in Washington. This entry was posted in Elizabeth Oliver, Fish Fellowship, Glenn Shaheen, Kate Hill Cantrill, Michelle Tandoc-Pechereau, S. J. Powers, Sophie Rosenblum, Stefanie Freele, Stephanie Harrison. Bookmark the permalink. >Congratulations to Stefanie and to all the honorable mentions! >Congrats to all! I look forward to working with you, Stefanie. >Con gratulations to Stefanie (I look forward to reading your stories! ), and also to the SLQ editors for diligently reading all the submissions! It must have been great, and insane. >Thank you all! I am very very excited about this opportunity. >You have made a superb choice here. Stef has been a writing friend and colleague of mine for a number of years, and her work is remarkable. Her wit and economy of language are trademarks, and I always look forward to reading her work. You’re going to look back on this and realize how brilliant you are for choosing her. Bravo! (Oh, and congratulations, Stef! )Patty M.